R.H Thomsen was an apprentice and then a jockey for a period of nine years. He was foreman for the legendary T.J. Smith for another nine years before setting up as a trainer in 1976. Since then he has trained 24 GROUP 1 winners. Midstream Lodge houses a maximum of 35 horses. This ensures each animal receives the care and individual attention which is the hallmark of the prosperous and well run stable. Being based at Randwick Racecourse, horses enjoy training facilities that are widely regarded as being the best available and which help to lay the foundation for a successful preparation. An examination of the major performers to come from the stable demonstrates that whether sprinter, middle distance performer or stayer, all achieve their full potential under the guidance of this meticulous and patient trainer. The stable policy is to use the best when it comes to jockeys. Those regularly engaged over the years include D Beadman, R.S. Dye, G. Boss and C. Munce. The stable has had great success in preparing horses for overseas based owners. 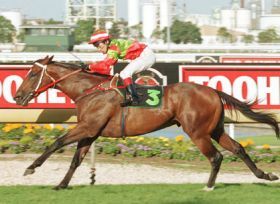 Danewin, a winner of $2.3 million, is a classic example. A notable training performance in recent times was to get the very average performer Zinders to win a GROUP 1 race and run 2nd in another. Bob Thomsen retired as a trainer in April 2012. 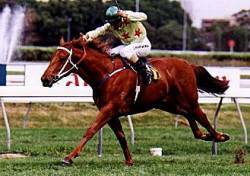 Syndicated at a record price for an Australian bred stallion. 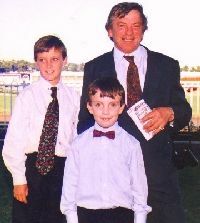 Champion Stakes, Rosehill Guineas, Doomben Cup, LKS Mackinnon Stakes, Caulfield Stakes, Hobartville Stakes, 2nd in AJC & VRC Derby and represented Australia in the Japan and Dubai Cups. 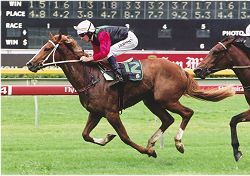 Castlemaine Stakes, 2nd Champion Stakes.